Here's just a few testimonials I've received over the last few of years, from some of my lovely couples. I'm really lucky to have found so many people who get my style of photography, and way of working. If what you read in the testimonials sounds like how you may like your wedding day photographing then please do get in touch. I'd love to hear more about your plans! Will is brilliant!! Will photographed our wedding on the 3rd of June this year (2017). He made us feel really comfortable and was absolutely brilliant on the day. Having photos was a lot more fun than we imagined! See the blog from their day here! I happened upon Will one Sunday evening over two years ago, whilst I was looking for a truly unique photographer to capture our wedding day on 29th April 2016. From a glance at his website I knew he ticked all the boxes and he did not disappoint. From our first meeting at the venue, The Heath House in Staffordshire, he was so friendly and really understood what we both wanted and how we imagined the day to be captured. Will offered an engagement shoot as part of the package and it was such a fun afternoon which also allowed us to get to know Will better and vice versa. Every one of our guests commented on how friendly and professional Will was on the day. I could not have imagined anyone else taking my wedding photographs. Every detail was covered, even down to the fabulous USB stick! Every time I look at the photographs I fall in love with them a bit more! I would not hesitate to recommend Will for any occasion that required a photographer but especially for your big day, he is a true talent. Thank you so much for capturing our special day. See their wedding blog here! Will photographed our wedding in August 2016. We hired a giant village hall in Shropshire with bags of character and did everything ourselves with the help of a very talented cottage garden florist in order to turn a completely empty shell into a glorious vintage tea party wedding venue. We even made the flower-adorned naked cake! Every detail said something about us, being either homemade, homegrown or designed by us so it was crucial that we had a photographer who could capture all these little personal touches so that we could look back on them forever and remember all the love, sweat and tears that had gone into it all. It had taken months to get to that day so you want something special to remember it by! Will captured the really moving moments beautifully, but most importantly for us he got such a great feel of the fun of the day! Waking up on the morning of the wedding the weather was less than ideal but he captured absolutely gorgeous shots at every opportunity, and we ended up with some incredibly unusual photos which we couldn't even have imagined beforehand...an incredibly atmospheric group sparkler shot in the rain being just one example! Even the bride romping across the muddy fields in her flowery wellies, lace brollie in hand, dress hitched up round her knees and hair blown all over the place didn't phase him. He just captured us being us, and that's all we ever wanted. He was non intrusive, very easy to have around and listened to any ideas and requests that we had along the way. I would recommend him highly, we are thrilled that we chose him. Will, what can I say?! When we started searching for a wedding photographer, I had NO idea how hard it would be. For us, it was the hardest part of wedding planning. Will was then recommended to us and as soon as we saw his pics, we knew he was perfect for us! When we met him for a pre-wedding shoot a few months before our big day, it reconfirmed that we had 100% chosen the right person. Will is genuinely one of the nicest guys I've ever met. He has such a nice air about him and we immediately felt comfortable with him (and more importantly, in front of the camera too). Fast forward to our wedding day, he fitted in perfectly and blended into the background. When we received our final photos, we couldn't have been happier. 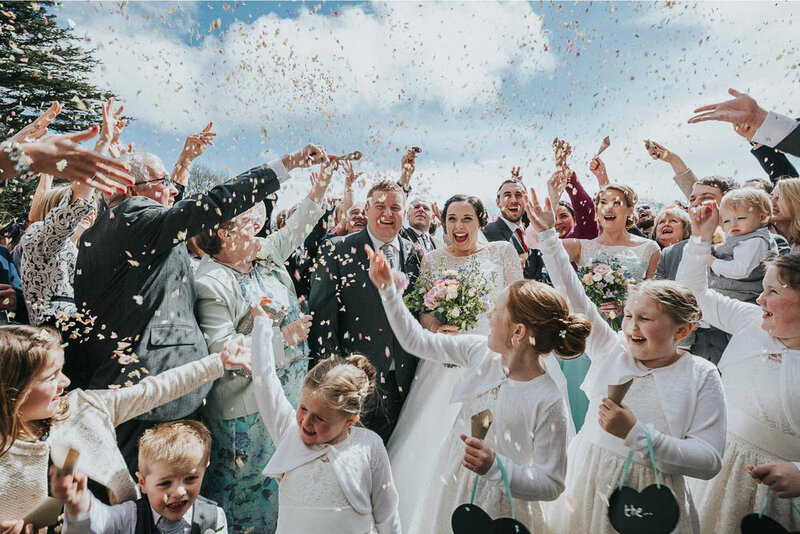 Will captured even the smallest of details and SO much emotion, it means we can relive our day over and over again. If you have any doubts about booking Will, don't.. you will NOT regret it. Thank you so much Will! Will photographed our wedding in January.... And we couldn't recommend him enough as a wedding photographer! Will totally put us at ease with the camera (being those awkward in front of a camera types :) )... and couldn't have been more friendly and professional! The engagement shoot was amazing.... And the wedding day photos are absolutely spectacular.... They are perfect in every way and we couldn't have imagined them any better! Will even hiked with us up to our favourite spot in the peaks on our wedding---- absolutely awesome!!! Will photographed our wedding in April at the moat house in Acton Trussell. We are actually based in America so we first met Will over Skype. He was very accommodating to timing and very professional. We then met in person around Christmas, when I'm sure he's very busy, but made time to meet with us and discuss plans and get to know us. By the time the day rolled around we trusted Will to do his thing. My husband and I took our first trip to London before our wedding (we did a honeymoon before the wedding) and we decided to do an engagement photo shoot. We contacted Will and he was so helpful even before we arrived in the UK. He gave us location suggestions and helped us pick the Curbar Edge for our shoot. It was January so it was foggy and rainy but Will only made that work to his advantage and took drop dead gorgeous photos of us, I think these are my favorite photos of myself and my husband together ever. He was amiable, kind, and adventurous and went the extra mile to make sure we got gorgeous pictures. I only wish I could have flown him to the US to do our wedding photos.